emily is a second-year medical student, ten-year veteran of wikipedia, and three-year cat mom. she writes about women's history and feminism, with an eye to wikipedia's gender gap. she regularly gives talks on this issue and her work has been profiled in many publications. she graduated from loyola university chicago with honors in 2016, and holds a degree in molecular biology. she currently studies osteopathic medicine at midwestern university chicago college of osteopathic medicine. 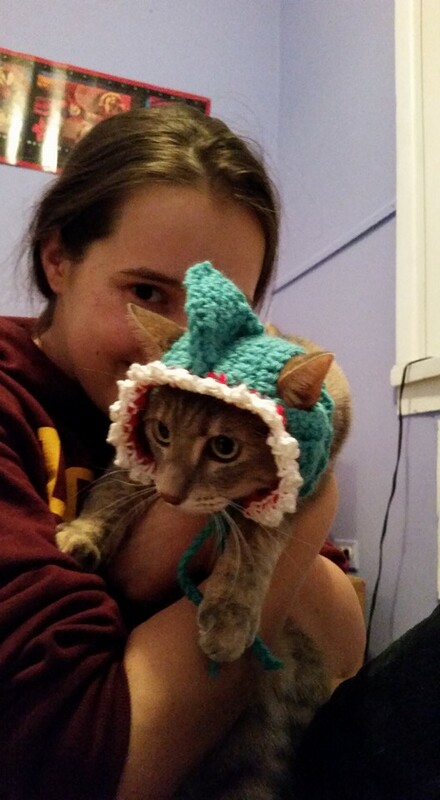 when she isn't fighting The Man or learning everything about medicine, emily is at home with her partner and two kitties, knitting adorable hats for the long-suffering felines. she is known for her ability to sleep literally anywhere at any time.